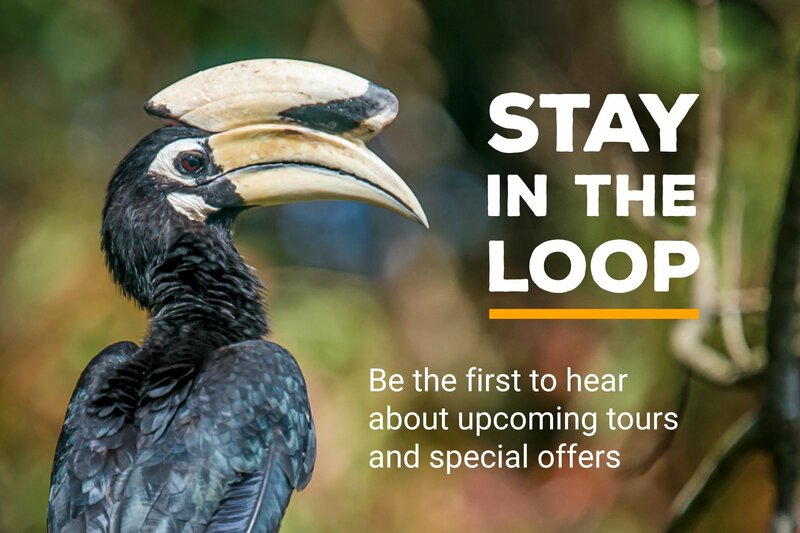 Having trouble seeing birds through all the dust and grime on your trusty binoculars? It might be time to sit down and give them a proper cleaning. Here's how! 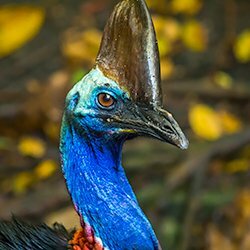 As a birder or wildlife watcher, you likely spend a lot of time outside using your binoculars to get better looks at the feathered, furry, and scaly creatures around you. Your binoculars are often your most important tool out there in the field. For them to deliver the best image quality they need to be clean. But it’s so easy for dust, dirt, rain, and other stuff to cloud up your lenses. 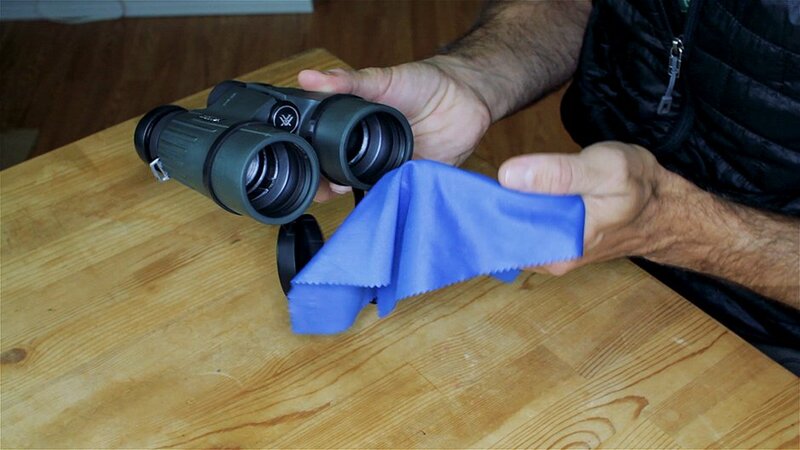 There are right ways and very wrong ways to clean your binoculars. In several easy steps, I’ll show you the way I clean my ‘bins’ when I’m at home. 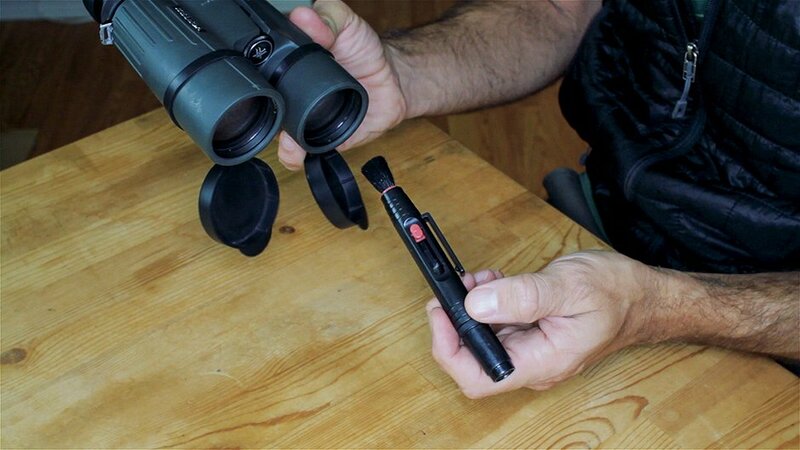 This method can also be used to clean binoculars in the field, if you remembered to bring your cleaning kit. Watch the video above or read the steps below. 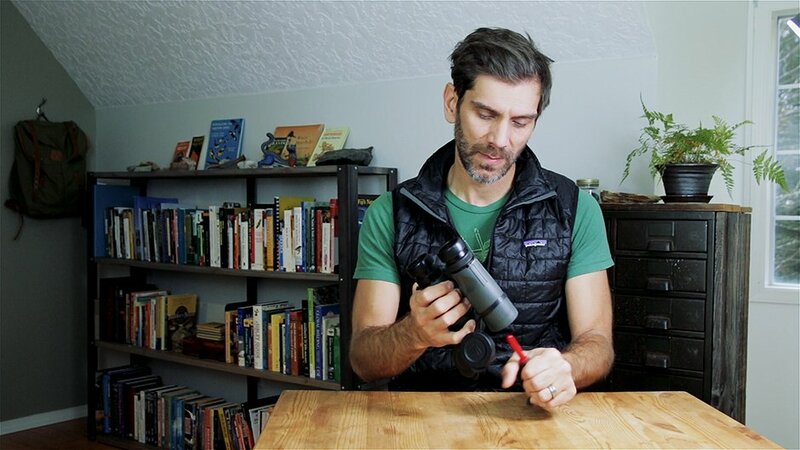 IMPORTANT CAVEAT: If your lenses are coated– and they probably are if your binoculars cost you more than a couple hundred dollars– DON’T clean them very often. First, let’s get as much dust and debris off of your binoculars as we can. Since any physical contact with the surface of your lenses can scratch and wear away the coatings on their surfaces, we are starting with pressurized air. 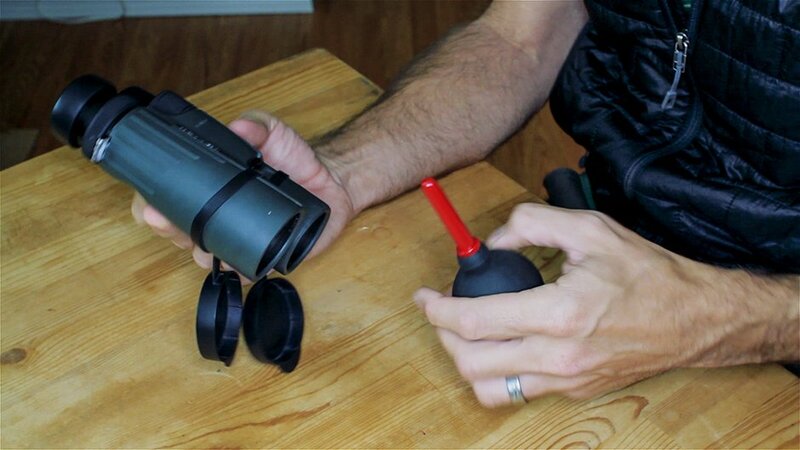 I use a squeeze bulb, designed to blow dust off of camera lenses. It’s not super powerful and maybe it doesn’t get much dust off, but I still think its worth using. A hand-powered squeeze bulb does a reasonable job of clearing away loose dust. When I’m removing dust and debris, I like to tilt the lenses downward so that the dislodged material falls away from the binoculars. I tilt my binoculars downward as I clean them so that as dust is dislodged it falls away. Now we’re going to try to get off the rest of the dust by brushing it away. A very useful tool for this job is a lens pen, again designed for camera lenses. The bristles are very soft and shouldn’t do much, if any, damage to your lenses. I give my lenses a light but thorough brushing with the lens pen. As before, I tilt the binoculars downward to let dust fall away. A lens pen is the best way to brush away stubborn dust. The soft bristles shouldn’t damage the delicate coatings on your lenses. For the final step, we’ll get in there and wipe your lenses clean. Here is where we are making the most contact with the lens surfaces and where we have the biggest potential to damage them. Using the right tools is critical in this step. Use a microfiber cloth that is designed to clean high-quality optical equipment. Never use paper towels or tissues, as these will definitely scratch the coatings on your lenses. If you can, use a small amount of lens cleaning solution, applied to the cloth (not directly on your lenses). To make your cloth extra effective, use lens cleaning solution. Make sure the solution you use is designed for optical gear. Gently wipe your lenses with the cloth. Do only the bare minimum to remove spots and any remaining debris. Be careful not to apply too much pressure. Resist the temptation to use your t-shirt or other shirt for this task while in the field. Though not as bad as a paper towel, your t-shirt isn’t the best thing to use. Wipe away the last spots and dust with a microfiber cloth. Be gentle– hard pressure shouldn’t be necessary, especially if you have applied lens cleaning solution to the cloth. 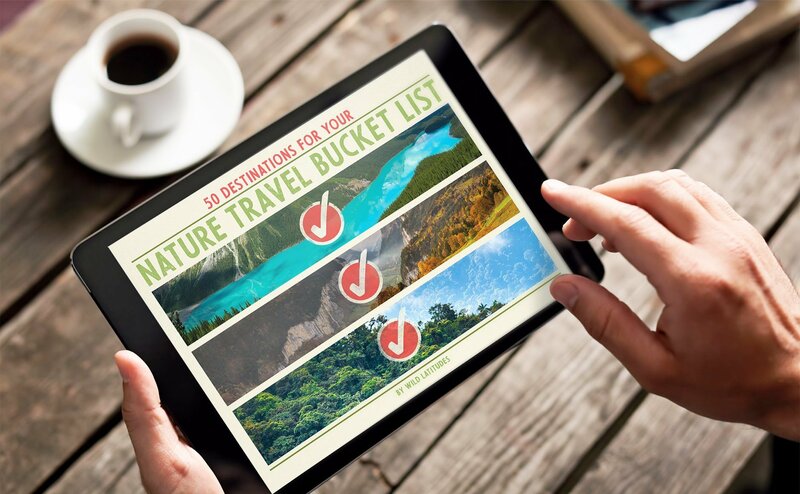 It’s pretty easy to bring these items with you on any extended birding trip or other excursion. Minimally, you can clean your lenses effectively in the field using a lens pen and a microfiber cloth. Proper cleaning of your binoculars will extend their life and give you much better views of birds and other distant creatures of interest. If you have thoughts on how to improve this process, let me know in the comments below!